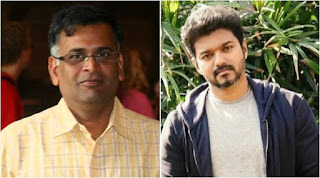 Acclaimed award-winning writer B Jeyamohan has been roped in to pen the story of Vijay’s upcoming film. The writer is known for penning several literary works, including short stories, novels, and books on politics, philosophy and spirituality. In a career spanning several years, he has won a lot of prestigious awards. Jeyamohan has also written screenplays, dialogues and story for several Tamil and Malayalam films, including Kasthuri Maan, Naan Kadavul, Angadi Theru, Neerparavai, Kadal, 6 Mezhuguvarthigal, Papanasam and so on. He is also associated with the upcoming mega project 2.0, which has Superstar Rajinikanth playing the lead role and is directed by Shankar. Some of the Malayalam movies that he had worked in are Ozhimuri, Kaanchi, 1 By Two and Naku Penta Naku Taka. The shooting for the Vijay starrer, which is being directed by AR Murugadoss, is currently happening near Chennai and the team is busy canning some important scenes. According to reports, the film is about the plight of fishermen but there is no official word on the story yet. Keerthy Suresh plays the female lead in this movie with the star cast also including Yogi Babu and Prem Kumar in crucial roles. AR Rahman has been signed up to compose the tunes for this flick. Girish Gangadharan, the young lensman whose recent work includes Kali and Solo, has been signed on for the project and well-known editor Sreekar Prasad, who has worked with Murugadoss in projects such as Thuppakki and Spyder, is also part of the film. Produced by Kalanidhi Maran under his banner Sun Pictures, the film is slated to hit the silver screens for Diwali this year. 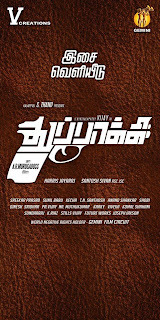 AR Murugadoss and Vijay had teamed up for Thuppaki and Kaththi earlier and both the films have done well at the box office. This is their third outing together and expectations are way too high considering the fact that it is being produced by a big banner. With some big names associated with Vijay 62, stay tuned for more updates on this venture. This was one of Vijay’s best films. Vijay’s career took a U-turn after the mega success of Poove Unakkaga which was a silver jubilee hit. This film, directed by the then popular director Vikraman with music by his lucky mascot SA Rajkumar, provided a big fillip to Vijay’s career which though was filled with hits, didn’t have that hit to make him a Superstar. Vijay played the mediator between two families who had a clash of religions. The children of the two neighborhood families fell in love and elope. Vijay comes and acts as the son of the eloped family, and tries to join the grandchildren of the two families who also fall in love with each other. This was one of the earlier films for ‘ilayathalapathy’ Vijay. 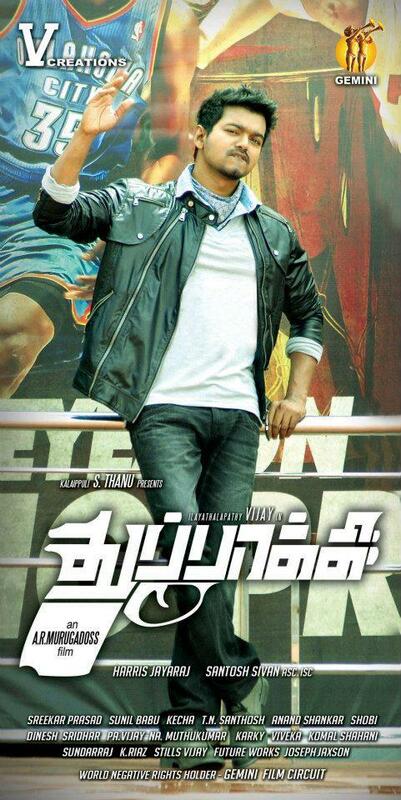 Considered a big hit due to the film’s songs and vijay’s performance, Vijay is the son of Raguvaran who is a doctor. Both father and son behave as the best of friends. 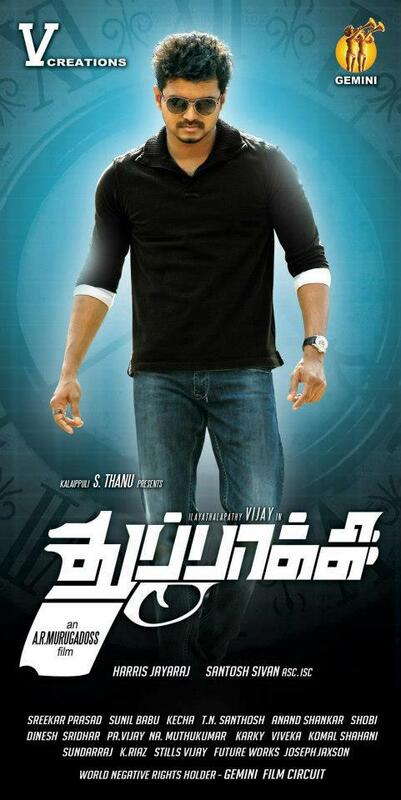 Vijay falls in love with Suvalakshmi who is the daughter of a rough ‘n tough inspector (rajan p dev). Suvalakshmi’s dad comes to know of their love and vents his hatred towards Vijay. How they succeed in love forms the climax of the film. Another film is the list of Vijay’s blockbusters. This film strengthened his on screen chemistry with his lucky mascot, simran who then went on to become his most successful on screen pair. This movie was directed by Ezhil with music by SARajkumar. This film acted as another turning point for Vijay, who had a lean patch with films like nenjinile and minsara kanna. this film, directed by the director SJ Suryah was one of the biggest blockbusters of Vijay’s career. Also vijay was paired with Jyothika with whom he shared a great chemistry right throughout the whole film. This movie celebrated a silver jubilee run and ran for 200 days. This film had a multi star cast featuring Vijay, Suriya, Ramesh kanna, Vadivelu, Deivayani, etc. This film was again a mega blockbuster for vijay making it 4 hits in a row for the actor. Ajith was originally slated to play the role of Suriya, but it was vijay’s college mate Suriya (suriya studied in the same college as vijay did) who played the role of Vijay’s best friend in this movie. This film is another film which resurrects Vijay’s career after a series of flops like Pudhiya geethai, Vaseegara, etc. This film, produced by Kavithalaya and directed by Ramana, showcased Vijay’s dialogue delivery skills to the best value. Here, he was again paired with Jyothika, his lucky heroine who gave one of the biggest blockbusters with him, Kushi. The music by Vidyasagar was one of the main highlights of the film. The biggest hit film of Vijay’s career. Coming after the welcome success of ‘Thirumalai’ which was again Vijay’s turning point after a series of flops. Ghilli was the best hit of his career, directed by Dharani of Dhill and Dhool fame, Ghilli had Vijay pairing up with Trisha with whom he went on to make a smash hit pairing. 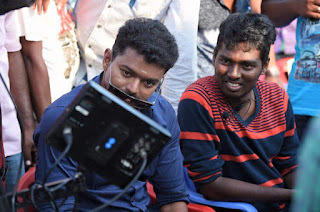 This film was also directed by Perarasu who directed Vijay’s previous blockbuster Thirupaachi. Though this film was not as big a hit as Thirupaachi, this film went on to become a super hit film further enhancing Vijay’s Box office power. This is the movie which collected 2 crores in a week after release in Madurai only. It purely shows the power of Ilayathalapathy. This film created a huge sensation for Vijay at the box office. After the not so successful Aathi, Vijay did not have a release at all for the rest of 2006 as he intently listened to a lot of scripts and wanted to make sure that his next film becomes a huge success. Teaming up with director-choreographer Prabudeva for the first time, this film which was a remake of the blockbuster Telugu hit by the same name, created records at the box office. Vijay was paired with Asin for the second time after Sivakaasi, with Manisharma scoring the music. The film was declared a mega blockbuster, and created new records in neighboring state Kerala for the first time for a Tamil film. 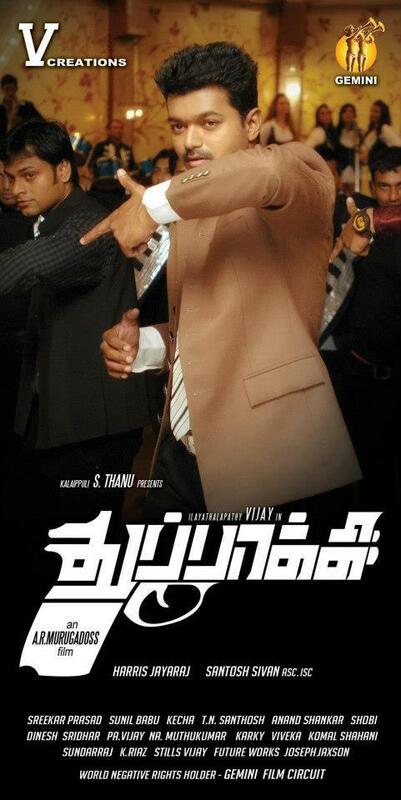 Thuppakki : 100 days Blockbuster. Box office collection : 150+ crores. Thalaivaa : After a huge struggle it running successfully. Record breaking collection in Kerala. Kaththi : Great script of ARM. It provides the awesome message to people. It also added in 100 crores club. It successfully crossed 100 days. Puli : Average flim. But it's a different effort from Vijay. THERI - Theri released on 14 April 2016 written and directed by Atlee and produced by Kalaipuli S. Thanu. The film features Vijay, Samantha Ruth Prabhu and Amy Jackson in the lead roles, while Mahendran, Prabhu and Raadhika Sarathkumar amongst others form an ensemble cast. Featuring music composed by G. V. Prakash Kumar and cinematography handled by George C. Williams. 100+ days Blockbuster. 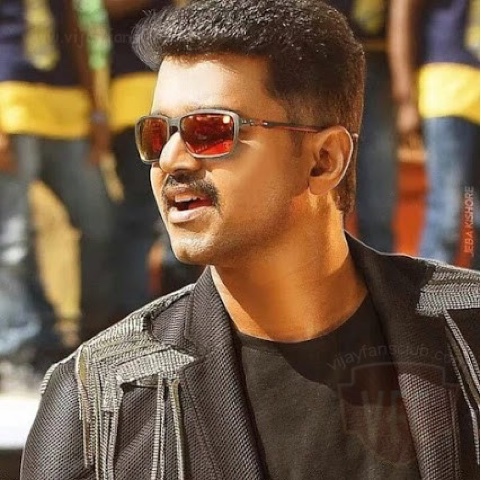 Nominated for Filmfare Award for Best Actor(VIJAY) – Tamil. 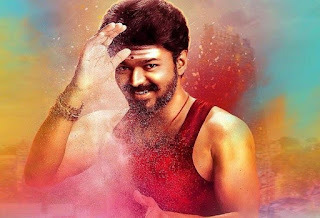 MERSAL - The film was released worldwide on 18 October 2017, coinciding with Diwali. Mersal is the action thriller film directed by Atlee and co-written by Atlee, K. V. Vijayendra Prasad and S. Ramana Girivasan (dialogues). 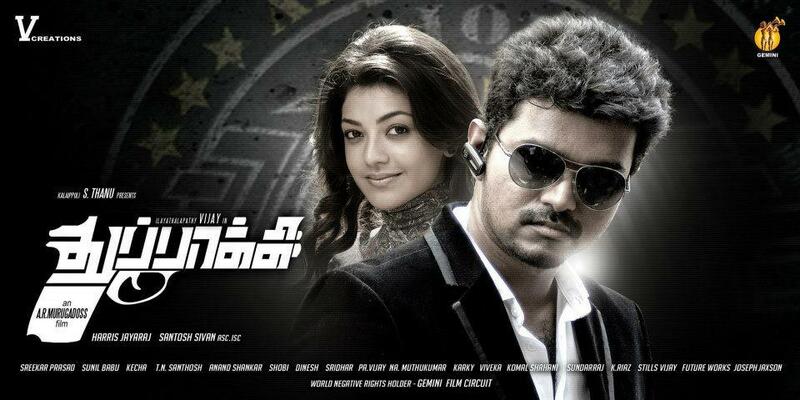 The film stars Vijay in triple roles with Samantha, Nithya Menen, and Kajal Aggarwal. The background score and soundtrack were composed by A. R. Rahman, while the cinematography was done by G. K. Vishnu and edited by Ruben. In its first week, the film collected ₹170 crore worldwide. In 12 days, the film grossed ₹200 crore worldwide, including ₹130 crore domestically in India and ₹70 crore in overseas markets. It has become the highest-grossing film of Vijay's career, becoming his first film to join the ₹200 crore club. At the end of its third week the film has reportedly collected about ₹115.10 crore in Tamil Nadu alone, ₹15 crore in Kerala, ₹12.60 crore in Karnataka and ₹3 crore from the rest of India tallying ₹145.7 crore domestically apart from ₹74.4 crore from the overseas territories, consolidating up to ₹220.01 crore. 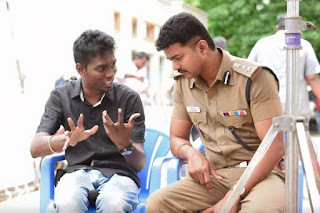 According to our sources, Ilayathalapathy Vijay’s daughter Divya plays a cameo in the actor’s upcoming film Theri, which is being directed by Atlee. “Yes, Divya will be seen playing a small cameo and she will feature in the climax portions”, said a source. Apparently, Meena’s daughter Nainika is acting as Vijay’s kid in the film but as the story revolves around various phases of the actor’s life from age 25-40, Divya will be seen in the climax portions. 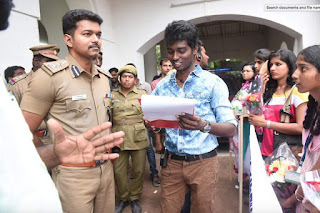 Divya is currently eleven years old and Atlee too felt that she will be apt for the older portions of Nainika. Recently the director shot scenes with Vijay, Amy and Divya in Ladakh. 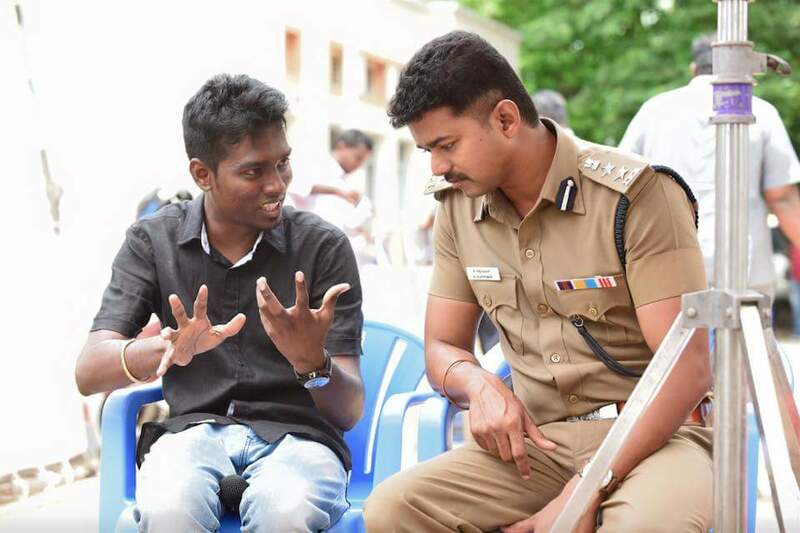 Vijay's THERI shooting spot still is revealed. 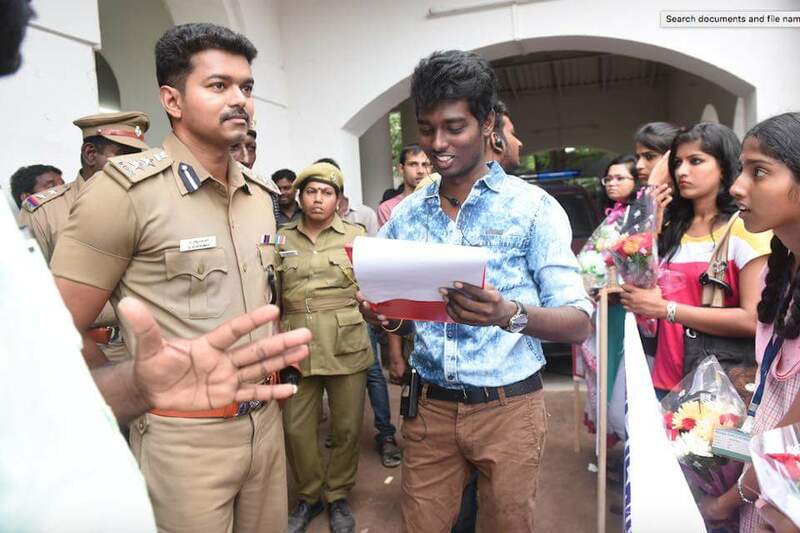 Vijay is acting as cop in THERI movie. Vijay fans all over South India are now awaiting the release of his new movie Theri which is being directed by Atlee. The shooting of the film is going on steadily, and as per reports, it is nearing completion. 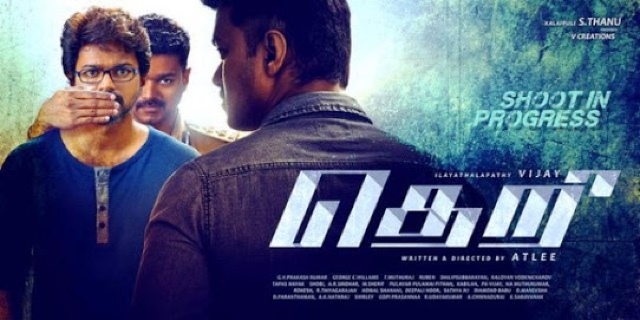 The recent news about Theri is regarding the character name of Vijay in the movie. According to reports, the name of Vijay in ‘Theri’ is Vijayakumar IPS. He is a daring cop who is determined to demolish illegal activities in the society. Samantha and Amy Jackson are doing the roles of lady leads in this movie. The supporting star cast in the movie includes Prabhu Ganesan, director Mahendran, and Meena‘s daughter. G V Prakash Kumar has done the music for this movie. This film marks the 50th outing of G V Prakash in the musical sector. Ilayathalapathi vijay, Samantha , Sathish Starred Anirudh musical, Armurugadoss direction Kaththi movie released on last year diwali 2014, This movie also hit Box office collection and now today enter 100 th Day Successfully. Vijay fans and kaththi movie crew celebrates this Victory in massive manner.